Mysterious Carved Discs Discovered In Russia!? - Ancient Explorers Mysterious Carved Discs Discovered In Russia!? 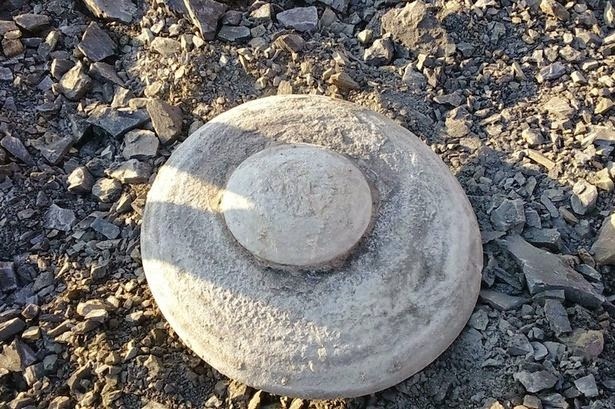 A team of investigators in Russia have found more than a dozen stone discs in the Volgograd region of Russia including one measuring four-meters in diameter. The team claims that the discs contain tungsten, a high density metal that has applications in military technology. The nature of the discs remain a mystery. Russian news site Bloknot Volgograd reports that the finding was made by the Russian UFOlogy and Crytozoology group Kosmopoisk, led by Vadim Chernobrov, during excavations in the Zhirnovsky district of the Volgograd region. The UFO hunters were investigating in the region due its fame for the occurrence of ‘mystical phenomena’. While the team had previously discovered more than a dozen disc-shaped stones, the recent finding of a stone measuring 4-meters in diameter was a first. “We already found a dozen of these discs of not more than one meter in diameter and in Kuzbass a disc of about two meters in diameter, but this four-meter disc is really unique.” Chernobrov told Bloknot Volgograd. Fortunately, scientists at the Zhirnovsky museum are taking a more rational approach and are studying the 4-meter wide stone disc to determine its age and material. Some skeptics also believe that the rocks were not even man-made but are simply the result of ordinary rocks shaped by erosion. 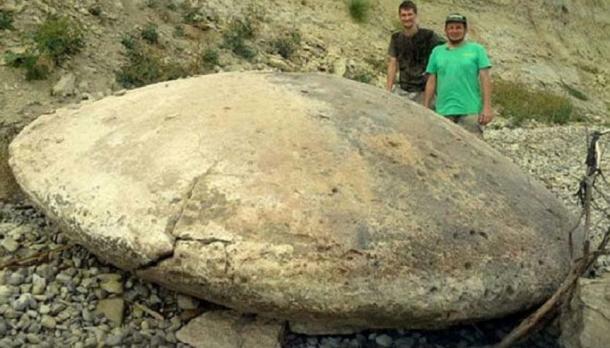 Earlier this year, another disc-shaped stone object was discovered in Russia by a coal mining company, this time in Siberia’s Kuznetsk Basin. The strange relic was found 40 meters underground, which suggests it is quite old. Archaeologists who examined the stone disc, which is perfectly circular with a diameter of 1.2 meters, stated that it was man-made. The recently discovered stone disc measuring four-meters in diameter is currently on display at the Zhirnovsky museum, where it is undergoing further testing. April Holloway is a Co-Owner, Editor and Writer of Ancient-Origins.